Its got to do with the way it's grown, and a whole lot more. The quality of Certified Organic crops are generally FAR superior to conventionally grown crops. Not only is the taste improved but the overall plant quality is improved because the plants are not force-fed with fertilizers or protected with pesticides. The result is a smaller harvest that requires more work to obtain, this is why organic products generally cost so much more. The absence of pesticides and fertilizers force the plants to be hearty and strong. These qualities are represented in the organic food you eat. Ask anyone who has enjoyed an organic, field harvested tomato, and you will have your proof. But how do you know a product which claims to be organic, actually is? Certified Organic means that there is a third party organization watching over the grower to ensure that they really are following the guidelines. This involves annual testing of crops and soil samples. A few of the certification agencies that we work with are OCPP, OGBA, OCIA, Oregon Tilth, QIA and Demeter. All of these organizations meet or exceed the new USDA-NOP standards (National Organic Program). This is a new set of standards that reflects what government agencies are doing worldwide (i.e. SCC in Canada) to provide and international set of organic standards. Wildcrafted herbs are harvested from the wild, as first nations peoples would have done before the era of modern medicine. The guidelines surrounding wildcrafting mean that herbs are harvested responsibly; always leaving some of the plant population behind so that it can regenerate. Wildcrafted herbs should always be taken from a pure environment that is not exposed to environmental impurities or contaminants. This is not always the case, so in addition to quality analysis, trusted sources and laboratory work are often required to attest to the validity of wildcrafted herbs. When properly wildcrafted herbs are obtained, the quality is usually exceptional and often better then certified organic herbs. What does Pure Quality mean? 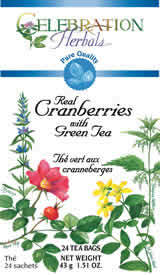 These are conventionally grown or transitional (uncertified) organic herbs with a twist. We ensure that our herbs are top quality before they go into our products. 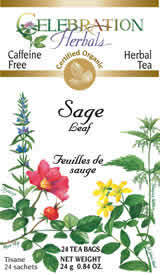 Our herbs are of the best quality we can find in their respective catagories. To help you identify which is the superior herb, we have designed a special coloring scheme. You will find this used on all our products, our teas and spices especially. follows each herb from the field to you. Herbs mature in wilderness conditions without cultivation which are harvested naturally to maintain natural species regeneration. is matcha tea....grown in Japan or cultivated in North America? The Matcha tea we use comes straight from Japan. If someone is trying to sell you Matcha processed or otherwise made in North America, don't buy it. This is the kind of tea that needs to come from it's true origin.